Recognizing the symptoms of rheumatoid arthritis and getting early treatment increases the odds for putting the disease into remission. 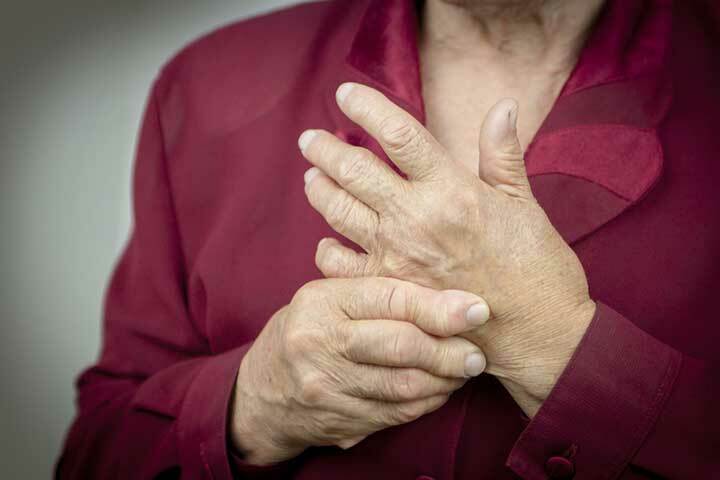 The onset of rheumatoid arthritis is higher among adults in their 60s, according to the CDC. Rheumatoid arthritis (RA) is a potentially debilitating form of arthritis that affects more than 1.3 million Americans and 1 percent of the population worldwide. The condition is considered an autoimmune disease because instead of protecting the body by making it immune to outside forces, it attacks healthy tissue for unknown reasons. Here’s how the Arthritis Foundation defines it: RA is “an autoimmune disease in which the body’s immune system—which normally protects its health by attacking foreign substances like bacteria and viruses—mistakenly attacks the joints.” The process creates inflammation and resulting pain. Normally, inflammation is the body’s normal response to outside elements such as viruses and bacteria. But with rheumatoid arthritis, the inflammation—if not contained—can damage cartilage and bones and spread to other parts of the body. RA isn’t confined to the elderly, although the condition’s prevalence increases with age. Nearly 5 percent of women over the age of 55 have rheumatoid arthritis symptoms. RA is chronic and persists for the rest of a person’s life, although remission is possible. “When treated early with disease-modifying antirheumatic drugs (DMARDs) and biologics, remission rates can exceed 60 percent,” says Paul Emery, MD, a University of Leeds expert on the disease. For people who don’t begin treatment within the first two years of symptoms, remission rates range from 10 to 30 percent. Inflamed cells that release enzymes. The enzymes digest bone and cartilage, which causes joints to lose their shape and alignment, both of which affect movement. Who’s at Higher Risk for RA? More than 90 percent of people with rheumatoid arthritis develop symptoms in the foot and ankle over the course of the disease. The CDC says it’s best to diagnose the disease within six months of the beginning of symptoms in order to slow or stop progression. Diagnosis begins with an assessment of symptoms, which may be followed by some combination of x-rays, MRIs, and ultrasound tests. People with rheumatoid arthritis often have an elevated erythrocyte sedimentation rate (sed rate) or elevated C-reactive protein (CRP), which may indicate the presence of an inflammatory process. Lab tests may also detect rheumatoid factor (RF) and specific antibodies. A new imaging test that uses radioactive tracers can visualize joint inflammation and could provide early diagnosis of rheumatoid arthritis, according to a study published in the May 2018 issue of the Journal of Nuclear Medicine. Early treatment for rheumatoid arthritis can limit joint damage and the resulting loss of movement. Treatment focuses on minimizing damage, controlling pain, lifestyle changes (joint protection, diet, and exercise), and reducing inflammation through a combination of drugs that usually includes methotrexate. 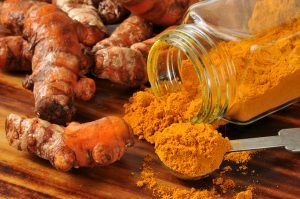 Fresh turmeric root and ground spice helps lubricate joints while supporting our natural production of collagen and elastin. Rest, ice, and ibuprofen or naproxen are at-home measures to relieve pain. A modified-release form of prednisone appears to be more effective at reducing morning joint stiffness than the standard version of the steroid. The drug tofacitinib citrate (Xeljanz) may be used to treat moderate-to-severe rheumatoid arthritis in patients who have not responded to or cannot tolerate methotrexate. Disease-modifying arthritis drugs, although effective, are not reaching those who need them most. At least two-thirds of older patients are not getting these medications because of cost or the reluctance of primary-care physicians to prescribe pain medications due to possible side effects. Biologics (biological response modifiers) are considered an effective second-line treatment. Examples of trade names are Enbrel, Humira, Orencia, Remicade, Actemra, Cimzia, and Rituxan. Baricitinib is an oral medication that may become an option for RA patients who do not respond to current treatments. As of May 2018, FDA approval was still pending. Joint replacement surgery is a last-resort treatment option. Rheumatoid arthritis does not have a cure, but treatment can relieve symptoms, slow the progression of the disease, and in many cases, put rheumatoid arthritis into remission. anemia, appetite, arthritis, arthritis drugs, arthritis rheumatoid, arthritis rheumatoid arthritis, arthritis symptoms, arthritis treatment, bacteria, best supplements, best supplements for joint pain, bone, c reactive protein, cartilage, collagen, diet, dmards, erythrocyte sedimentation rate, exercise, fibromyalgia, fibromyalgia and rheumatoid arthritis, for joint pain, gout, health, immune system, infection, inflammation, joint inflammation, joint pain, joint replacement, joint stiffness, natural treatment, natural treatment for, obesity, osteoarthritis, osteoarthritis and rheumatoid arthritis, pain, protein, ra, relieve pain, rheumatoid, rheumatoid arthritis, rheumatoid arthritis medications, rheumatoid arthritis symptoms, rheumatoid factor, severe rheumatoid arthritis, shortness of breath, side effects, skin, smoking, supplements, treatment for fibromyalgia, turmeric, types of arthritis, what is arthritis. Is Sulfasalazine an effective second line biologic for RA?